The Level Up Pro 32 is a pneumatic standing desk converter that’s designed to be easily added to any environment. With zero assembly, users can simply place the desktop converter on a surface and enjoy the flexibility of either sitting or standing. A pneumatic air cylinder allows smooth and effortless adjustments from sit to stand in mere seconds, bringing the Level Up Pro 32 to a maximum height of 15.75 inches above the desktop. 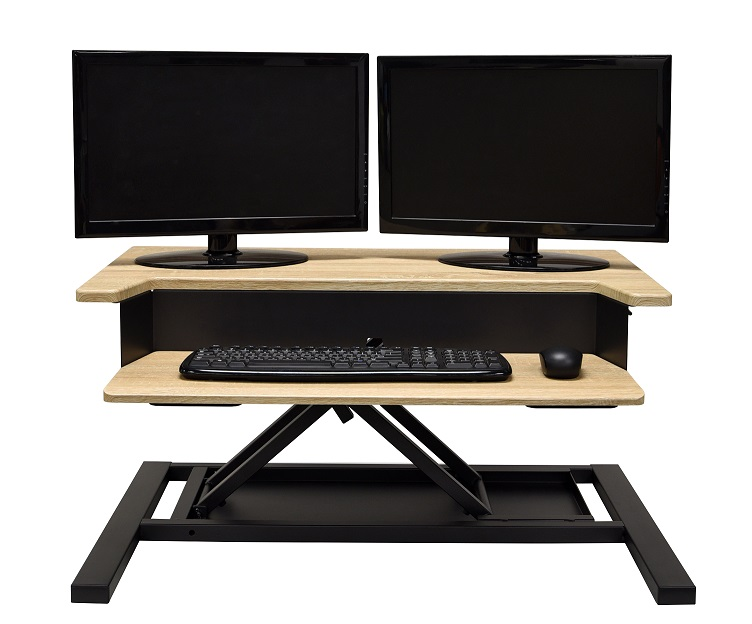 The ergonomic two-tier design offers a spacious 32-inch top shelf for monitors and a second shelf for a mouse and keyboard. Take your work to the next level with the affordable Level Up Pro 32.